So that I could prime the side skins and the aft lower skin in one go, I got on with finishing the aft lower skin. For the tailwheel version, a slot has to be cut to accommodate the tailwheel spring holder. I have seen a few ways of doing this but went my own way! I photocopied the plan from the drawings and then aligned it with the holes in the lower skin. I actually cleco’d the drawing on to ensure alignment. I cut the slot roughly with the bandsaw and then finished it with files – both vixen and needle files. It turned out well. I also drilled the 3/4” hole and 9/16” hole. I used the step drill for both. The 9/16” is 14.3 mm and the step drill is near as dam it. 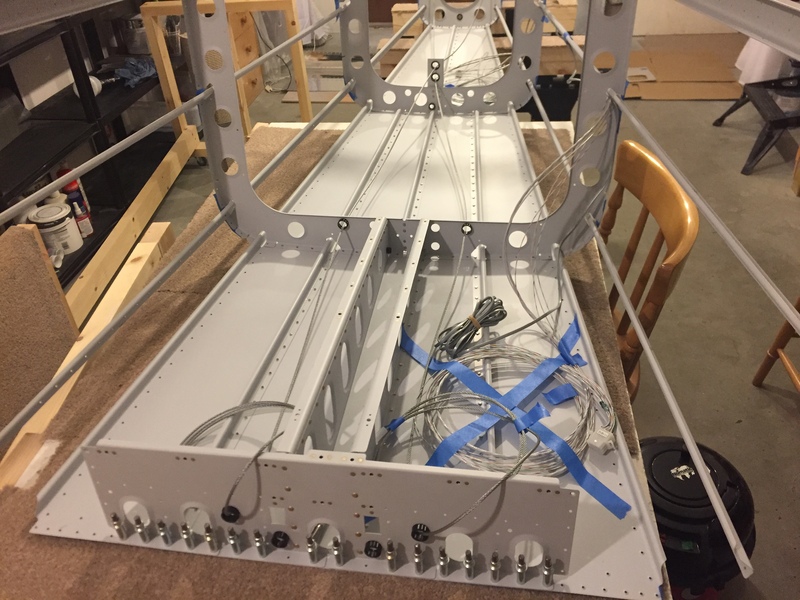 Next up was some wiring placement which needs to be fed in between the LH stiffener and the bulkhead. I put all the bushings in the bulkheads and then fed the rudder cables through. 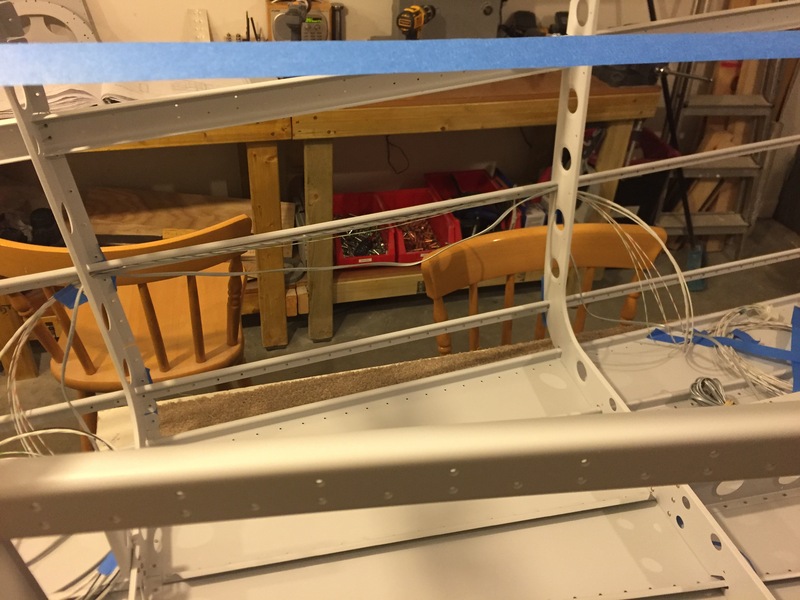 I took the opportunity to scuff-up the tailwheel spring holder ready for priming as the powder coat wasn’t great and this will be exposed to the elements. I wanted to test fit this on the lower aft skin along with the rearmost bulkhead. I think it may require some trimming of lower aft skin so that when bolted on, the spring holder doesn’t touch the skin. Be the first to comment on "Aft fuselage 10-14 to 10-16"